"Waiting On" Wednesday is a weekly event, hosted by Jill of Breaking the Spine, that spotlights upcoming releases that we're eagerly anticipating. Ghosts of Greenglass is the sequel to Milford's 2014 book Greenglass House, which was one of my favorite reads of that year. 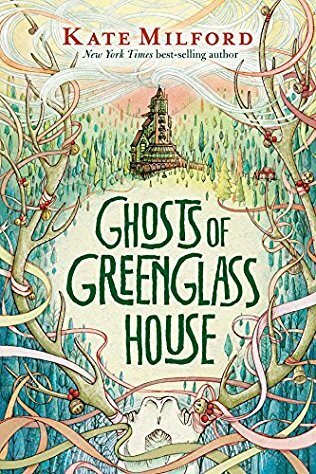 Kate Milford is an auto-buy author for me anyway, but I'm especially looking forward to reading more about Milo and the Greenglass House. Ghosts of Greenglass House releases on October 3rd from Clarion books.